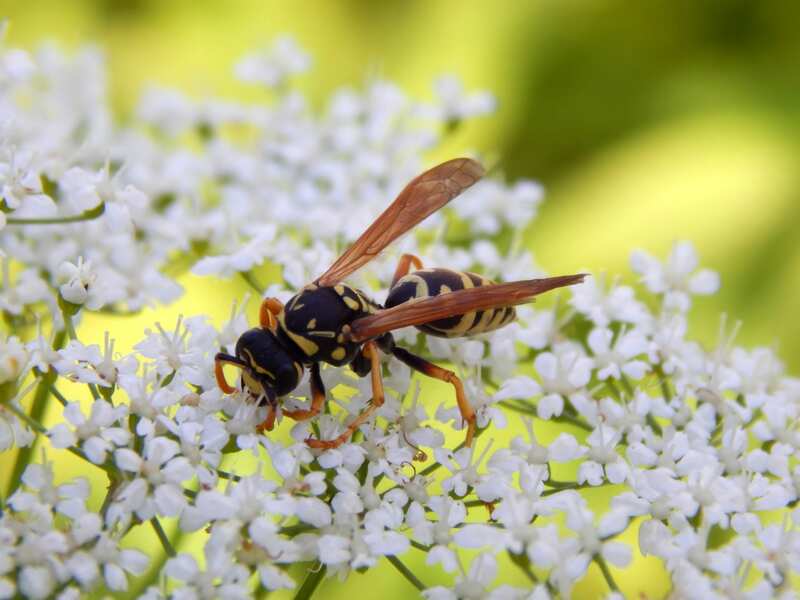 Attracted to flowers and plants, wasps can invade your yard and pose as potential threats to any outdoor fun. Wasps have intimidating stingers and can become hostile if disturbed, but Lawn Doctor can keep spaces safe with effective pest control. Our experienced Denver exterminators can remove any wasps that are currently on your property and can create a shield against future invasions. Don’t let pests like wasps stop you from enjoying your yard; get effective wasp removal from Lawn Doctor of Denver. Lawn Doctor has strived to satisfy Denver customers with unbeatable service and wasp removal for over forty years. We began our first Denver operation in 1972 but now bring high-quality lawn care to the whole greater metro area. As a locally-owned operation, we believe in caring for Denver landscapes with sustainable products and practices, and we offer affordable solutions at a price that matches any competitor. If Lawn Doctor’s solutions don’t rid your property of wasps the first time we will apply re-treatments until they are effective. At Lawn Doctor, we believe the key to wasp control is prevention. We developed a program that safely removes bugs from your property and stops further infestations of your property. With our 4-Service Yard Armor Program, a technician will come out to your property each season to provide it with protective qualities throughout the year. For complete coverage, we apply treatments in Denver to window wells, doors, lawn shrubs, mulch beds, and hard to reach places like underneath decks. Wasp control shouldn’t do more harm than good. Our exterminators in Denver use holistic approaches to remove current infestations and prevent them from recurring. The products used in Lawn Doctor’s insect control services are natural-based. We use a cedar and peppermint oil that creates a barrier for bugs around your perimeter, and gives off an enjoyable scent. Its pesticide-free, making it safe for pets and people. Be sure to give Denver’s Lawn Doctor a call for all your lawn care and pest control needs. We believe that every residential and commercial property should have the best care available to them, which is why we provide year-round service to the Denver area. We have made it our mission to provide premium landscape services throughout Colorado. No job is too big or too small. If you are looking for naturally-based pest control treatments for your lawn, talk to us today!